The Spring Classics are almost upon us, kicking off the cycling season with a riot of high-octane day racing over the cobbled back roads of northern Europe. If you want a taste of the action, there's nothing better than heading over to experience Flanders, Paris-Roubaix et al for yourself. But if you're looking to keep things local, fear not: a growing number of Classics-inspired sportives are springing up right here in the UK. 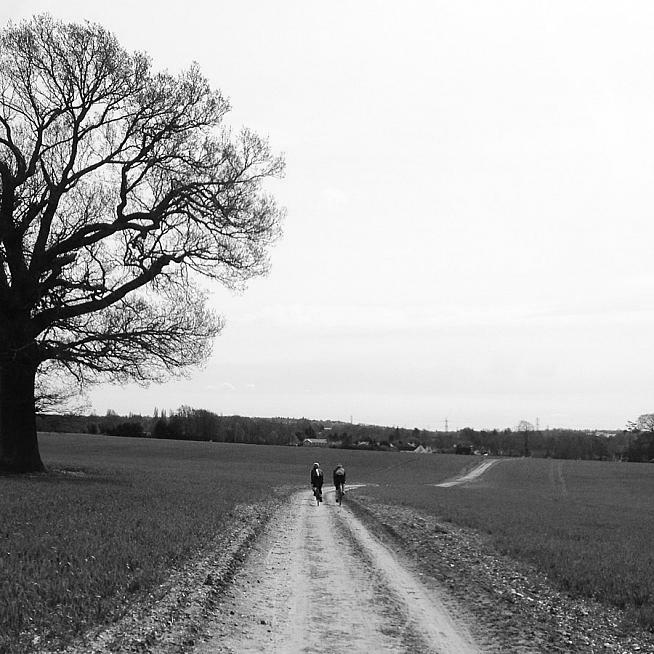 Spring: a time of green shoots and rebirth - or moodily lit bike rides over cobbles and fields? Organised by Kirklees Cycling Academy in homage to the Tour of Flanders, the Ronde van Calderdale has established itself as one of the toughest Classics-inspired sportives in the country. Based in Liversedge, West Yorkshire, the 72-mile ride features 13 testing climbs on both cobbles and tarmac road sections. Retro/vintage kit is welcome but not mandatory, and all proceeds go to help develop riders from Kirklees Cycling Academy - a cheering thought as you struggle up the cobbled Dodlee Lane (avg. 14%) in your wool jersey! Online entries are open via the British Cycling event page, and keep an eye on the RVC Facebook page for details of on-the-day entry. Billed as "London's original and best urbosportive", The Cobble Monster isn't your typical sportive. But we're including it because 1) it has cobbles, 2) it takes place on the same day as Paris-Roubaix, and 3) it sounds a right barrel of chuckles. "...descend into the melee of the west end, blatting across some early secteurs of the Smoke's Victorian pave before tucking into the east end and its myriad lanes of snaking cobbled nadgery. "We then cross the river start a series of LBCs (Lung Bursting Climbs) which increase in frequency toward the finish at Brixton Jamm and the finish. "The route is designed for riders of all abilities on all manner of bikes and encompasses a number of London Overground enabled bail out points for those that suffer with mechanical or physiological events. For some this will be the biggest bike ride they've ever taken on, for others it may seem like a gentle spin. We guarantee all riders will know they have ridden their bikes." Sounds good right? Best of all, you can catch the finish of Paris-Roubaix on a big screen in Brixton Jamm at the finish, along with a chance to score some cycling prizes in a raffle. Entry is free, but optional £15 donations to the Evelina London Children's Hospital are welcome. For more details, see cobblemonster.com. Now in its fourth year, the Sean Yates Spring Classic is an early season leg-warmer based amid the telescope domes of the Observatory Science Centre in Herstmonceux. Endorsed by former pro and Directeur Sportif Sean Yates (although he is not expected to ride this year's edition), the undulating course rolls out into the Sussex Weald and the Ashdown Forest on Yates' old training roads, with 62 miles of undulating country lanes. For more information and to enter, visit www.beachyheadcc.com/the-spring-classic/. Ten years of hell! 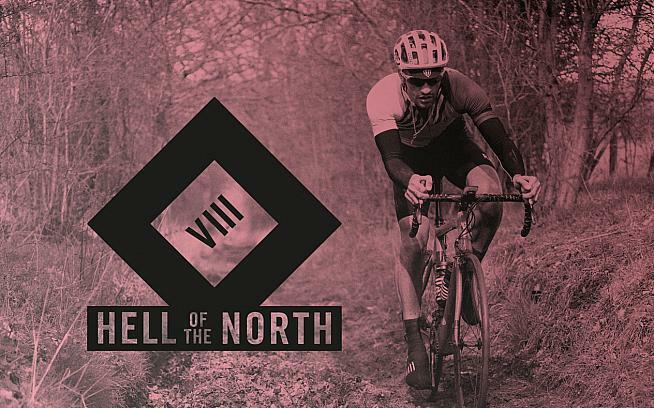 Rapha's annual tribute to Paris-Roubaix celebrates a landmark birthday, as the capital's most style-conscious cyclists once more assemble at Pond Square, Highgate for a barnstorming tour of Hertfordshire's gnarliest country lanes. Featuring multiple off-road sections of 'gravé', the ride is a North London institution and a hugely enjoyable day out, with a pub finish just in time to watch the pros race into Roubaix Velodrome. In addition to the London ride, 2019 will see international editions will take place from Rapha clubhouses in Berlin, Boulder CO, Hong Kong, Manchester, Melbourne, Osaka, Paris, Singapore, Sydney and Taipei. Gravé has gone global! Stay tuned to Sportive.com for news of when entries open. The cover charge usually includes a limited edition Rapha cap, and you'll likely be able to pick up some matching kit if Rapha follow form in releasing a capsule collection in honour of the occasion. It's not officially a Classics tribute, but the Lincoln Grand Prix Sportive makes the list as the only sportive (we know of) that includes the cobbled climb of Michaelgate in Lincoln. This 400m long climb (avg gradient 11%) in the heart of the old town has an iconic place in British cycling thanks to its inclusion in the Lincoln GP - and it poses a short but sharp final challenge to riders on the Lincoln GP Sportive. With a choice of four distances, including the option to have former Olympian Vryan Steel lead guide you around the course, the sportive forms part of Lincoln Cycling Festival. Why not make a full weekend of it? For full details and to register, visit www.itpevents.co.uk. Inspired by Paris-Roubaix, The Wilier Tour of the Black Country follows a 120km route that takes in 22km of cobbled roads, stony farm tracks and bridleways in the West Midlands and Worcestershire, with a Roubaix-style velodrome finish. The 14 unpaved gravel and cobbled sectors vary in length from 600m to 2500m, but they're all passable on a standard road bike. Just like Paris-Roubaix, each sector is rated according to difficulty; one star being the most straightforward, five stars being the most difficult. The five-star sectors include the 'Waltonberg' cobbled climb and the epic 2500m Clent gravel climb, whose summit provides a spectacular 360-degree panorama of the Black Country, the Malvern Hills and Wales. The roads of the Tour of the Black Country are mostly traffic-free, and the majority of the unpaved sectors are closed to all traffic. Fittingly, the ride finishes with a lap of the large outdoor velodrome at Aldersley Stadium making for one of the UK's most authentic Spring Classic tribute sportives. For full details and to enter, visit cycleclassics.co.uk. Brum's answer to Liege-Bastogne-Liege, the course for the Bournville Hilly Classic has been carefully designed to replciate as much as possile the notorious sawtooth profile of the oldest - and many woule argue the hardest - of cycling's Monuments. Similar. 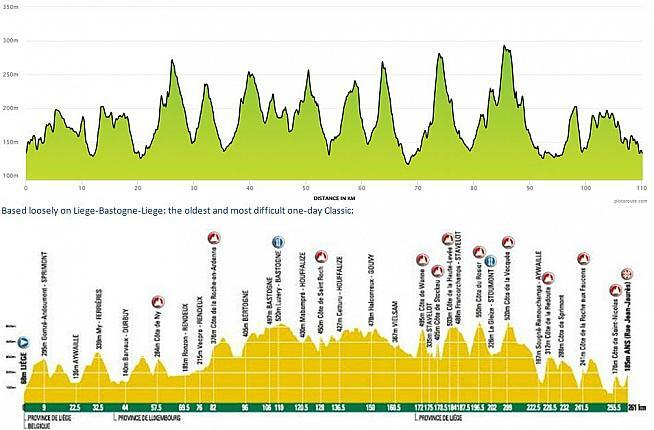 Course profiles for Liege-Bastogne-Liege (below) and the Bournville Hilly Classic. All that climbing comes with its rewards though, and riders will enjoy ten long, sweeping high-speed descents before finishing at the famous 19th Century Cadbury chocolate factory for a sweet treat. Entries are open now at cycleclassics.co.uk/bournville-classic. Another classic from the team at Cyclassics: prepare for a dust-up on Oxfordshire's very own Strade Bianche with this 80-mile (125km) sportive in The Ridgeway Area of Outstanding Natural Beauty. The route now takes in 18 sectors - totalling 30km - of gravel and chalk roads, most of which are closed to traffic. "On a sunny day these roads are a brilliant white," say the organisers. "The route is situated in the North Wessex Downs Area of Outstanding Natural Beauty, on and around the 8000-year- old chalk 'Ridgeway' - the oldest road in the country." For more information and to enter, visit cycleclassics.co.uk/white-roads-classic-sportive. Now in its 20th year, Dulwich Paragon's CC's annual tribute to the Giro di Lombardia (known as the Race of the Falling Leaves) offers riders a choice of 70km or 110km routes through the Kent and Surrey countryside. In true Classics style the ride finishes in a velodrome: event HQ is Herne Hill Velodrome, the refurbished venue from London's 1948 Olympics, making this the perfect finale to your summer road season. Date and cost for 2019 have yet to be confirmed - keep an eye on the Dulwich Paragon website for the latest: www.dulwichparagon.com.